After missing the playoffs for the first time since 2013, the Edmonton Eskimos have some work to do this off-season. The biggest question for the Eskimos is who will be under centre once the 2019 season gets under way with Mike Reilly’s future up in the air as the pivot is a pending free agent. 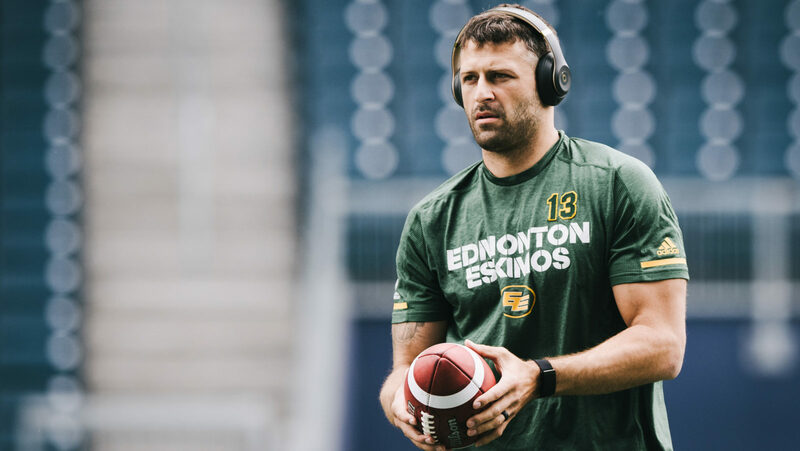 Head coach Jason Maas returns in 2019 but with the recent departure of defensive coordinator Mike Benevides due to the newly-instated non-player football operations salary cap, the Eskimos will be hoping to solidify their coaching staff as well. 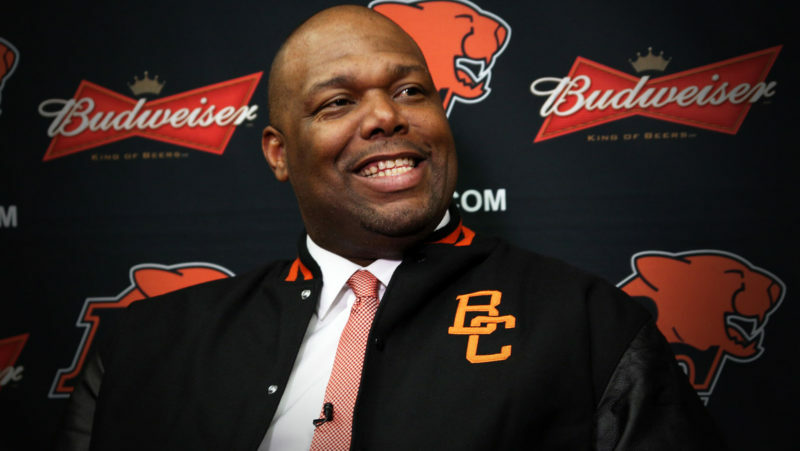 Sunderland has his hands full after his second season as general manager in Edmonton. Not only does he have some big-name players that are pending free agents, the team is also missing a few pieces of their coaching staff. Some changes are bound to happen on either side of the ball after finishing the 2018 season 9-9 and missing out on the post-season. 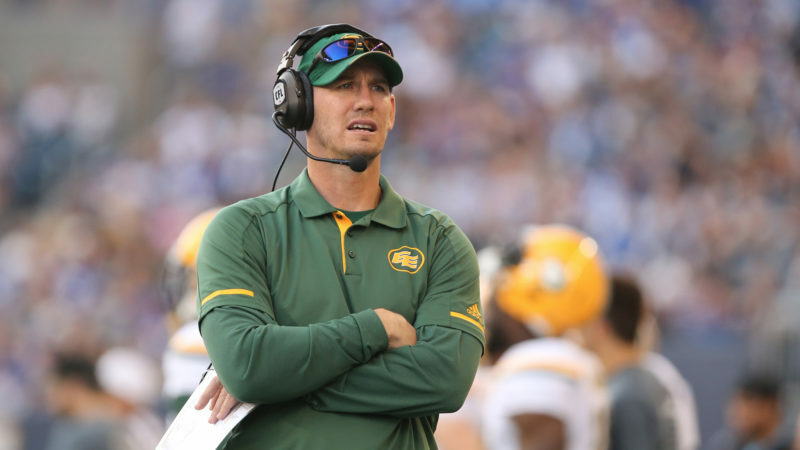 Despite speculation about Jason Maas’ future with the Edmonton Eskimos after the team missed the playoffs for the first time in five years, the team announced in November that the bench boss would be back in 2019. On the same day that Maas was announced to be returning, the Esks announced that that four members of its coaching staff will not return including offensive quality controller Kelly Bates, special teams coordinator Dave Jackson, receivers coach DJ McCarthy and defensive quality controller Rob Payne. 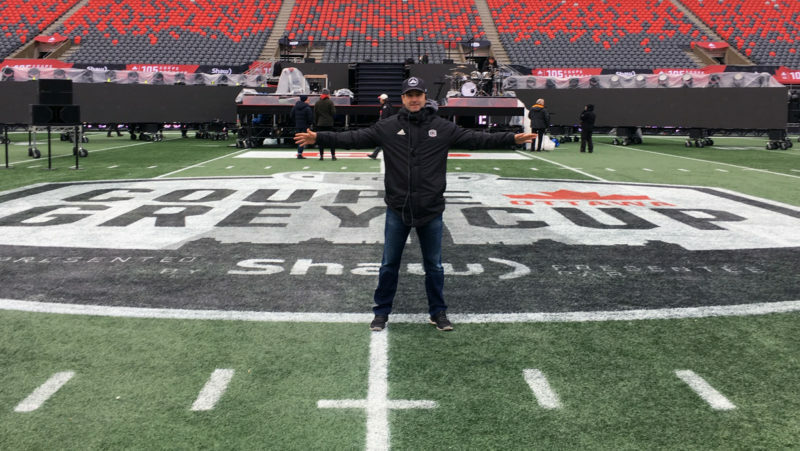 Having a new coaching staff in place soon will be on top of the off-season to do list as Maas and the Esks eye improving next season. A trio of big-name offensive superstars headline the Eskimos pending free agent list with Duke Williams, Derel Walker and Mike Reilly all on the list. 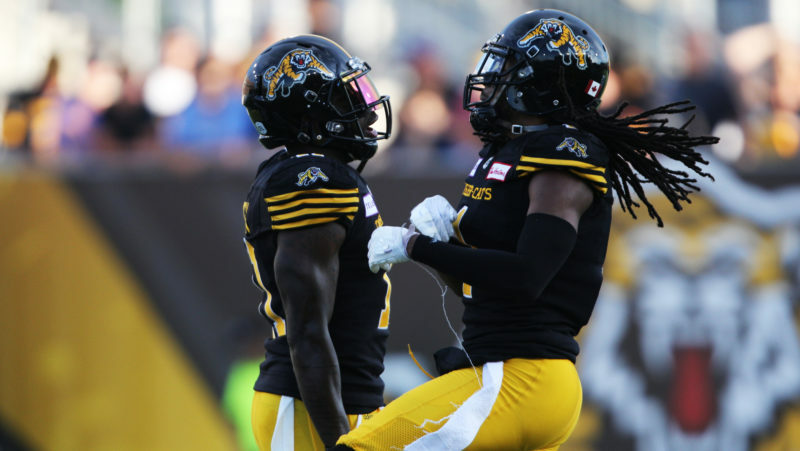 While the team’s quarterback situation is undoubtedly the most important signing for the Esks this off-season, keeping their top two pass-catchers will be right behind on the priority list. Bryant Mitchell will likely also be a receiver that Sunderland and co. would prefer to have back in the green and gold after he slotted into the lineup because of injuries late in the season and showed his playmaking abilities. A few key Canadians are also on the list with defensive end Kwaku Boateng and receiver Nate Behar. Boateng was a star on the Esks defence last season and Behar proved to be a ratio-breaker on the offensive side of the ball. Starters Mercy Maston, Aaron Grymes, Josh Woodman and Forrest Hightower are all pending free agents as Sunderland will be looking to lock up some key pieces in the Eskimos secondary. Boateng will top the list of Canadians that the Esks will want to keep around. The 23-year-old had a breakout year in his second season with the Eskimos, finishing with 26 defensive tackles and nine sacks while also earning a starting role on the defensive line. Along with Behar, Natey Adjei will likely be someone Sunderland wants to keep around as the Toronto, Ont. native suited up on both offence and special teams in 2018. There are also quite a few Canadian fullbacks that are pending free agents with Calvin McCarty, Alexandre Dupuis and Christophe Normand topping the list. Will Mike Reilly return? 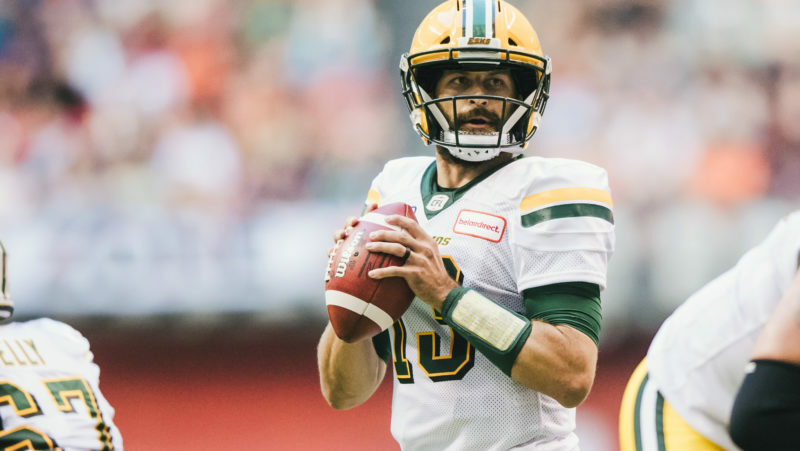 Without Reilly in the mix, if he does decide to hit the open market on February 12, the Eskimos will have to go out and find another starting quarterback to fill in that spot. Danny O’Brien has assumed the third-string duties and veteran Kevin Glenn is also pending free agent, meaning Sunderland and co. will not have a starting QB on their current roster if 2017’s Most Outstanding Player decides to go elsewhere. The Eskimos seem to be in good shape at running back with their starting tailback C.J. Gable, who notched his first 1,000+ yard season, locked up for next season. Jordan Robinson and Shaq Cooper will also be back in the green and gold next season. Robinson played in two games down the stretch for the Esks while Cooper suited up mostly on special teams. 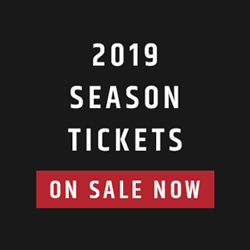 It’s the Canadian fullbacks that Sunderland will be looking to re-sign with Calvin McCarty, Alexandre Dupuis and Christophe Normand topping the list. The receiver position will be of high priority for Sunderland this off-season as seven impact pass-catchers, including starters Duke Williams, Derel Walker, Bryant Mitchell and Vidal Hazleton, are all pending free agents. Williams led the league in receiving yards with 1,579 and was tied for the league-lead in touchdowns (11). Before missing the final stretch of the season with an injury, Walker hauled in 875 yards and eight touchdowns. Mitchell stepped up late in the season, and exploded onto the scene in Week 10 with a 128-yard, one-touchdown performance. He also strung together three 100+ yards performances in a row to finish off the regular season, including hauling in 190 yards in Week 18 against the REDBLACKS. Behar, Adjey, Jamill Smith and Kenny Stafford are all also pending free agents and Sunderland will have to make a decision on who, if not all, the team will bring back in the new year. With Canadians Matthew O’Donnell and David Beard signed on for next season, the Esks will be looking to keep around a few more of their starters on the offensive line. Centre Justin Sorenson and left guard Travis Bond are both pending free agents and will likely be of note for Edmonton if they decide not to test the open market. The Eskimos are in good shape on the defensive line with stars Almondo Sewell and Alex Bazzie locked in to return next season. Boateng and Jake Ceresna are pending free agents and will be of priority for Edmonton to bring back next season. With J.C. Sherritt and Adam Konar both signed to stay in the green and gold, the Esks are also looking pretty good at linebacker. However, Chris Edwards (a natural DB who lined up at LB this season) is a pending free agent and Sunderland and co. may need to look elsewhere to round out the group. With starters Mercy Maston, Aaron Grymes, Josh Woodman and Forrest Hightower all pending free agents, the Esks will have some work to do in the secondary. However, Canadians Jordan Hoover, Neil King, Jordan Beaulieu and Godfrey Onyeka are all locked in meaning Edmonton has some flexibility with their ratio.